The word Beldar is derived from two words; "bel" meaning a digging instrument, and "dar" referring to the person who handles it. They are associated with digging and carrying soil in the context of agriculture. Though fewer in number, there are Beldars who are engaged in animal husbandry, small business, industrial work, and unskilled labor. The Beldar people have their own folk songs and folk-tales. 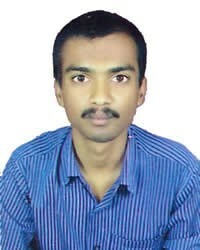 Though they speak in the Baghelkandi dialect at home, most of them also speak Hindi. Population figures for this Hindu group fluxuates from five figures to almost 2 million. They perceive themselves as part of the low Shudra caste, and others perceive them as being in this category as well. After cremating their dead, they worship the deceased's spirit a year later. There are only about 100 Christ-followers in this people group that lives mainly in Madhya Pradesh, but some live in Uttar Pradesh or West Bengal. * Pray for Indian missionaries to produce stories and songs in the Beldar traditions that will lead them to seek Jesus Christ. * Pray for them to have easy access to materials in the Hindi language. Some information from "The Scheduled Castes" K. S. Singh, ed. 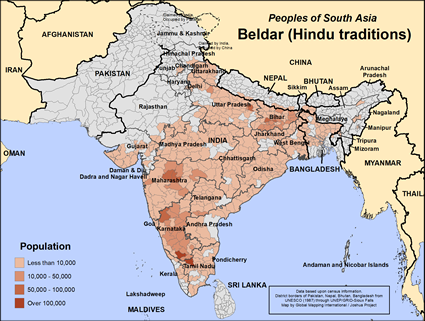 Oxford University Press, USA (1994)View Beldar (Hindu traditions) in all countries.